It is an established fact that martial arts Master Bruce lee established himself as a legend in his life time. 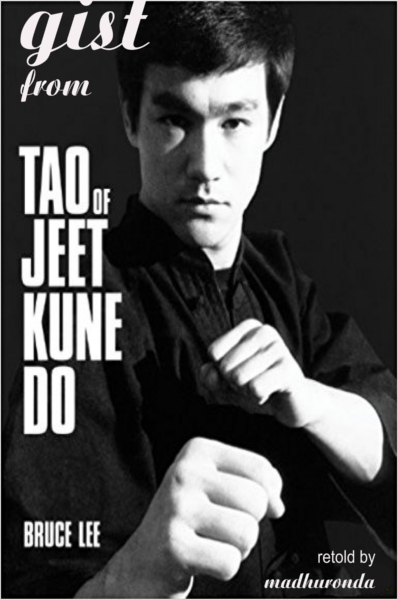 He created a new school of martial arts named “Jeet Kun do” incorporating his philosophy of life in it. And for those of you who are familiar with JK(Jiddu Krishna Murthy) it comes as surprise that philosophies of these 2 famous personalities resemble a lot. I redesigned and composed this ebook to suit the needs of modern generation. It is surely useful to students, boxers, athletes, coaches and philosophers.